Changed deocrate line: "actor NewMachineGun : WolfWeapon 60" to "actor NewMachineGun : WolfWeapon 60 replaces MachineGun" and the game game booted me back to Windows with an error message ("An error has occured", very informative). EDIT: Nevermind, found the problem. Guess I'm a little rusty. Any other changes people would like to see in upcoming version? I'll add an "replaces [weapon here]" in DECORATE then. I see no need to add support for this issue in this particular mod if the problem is with the mod itself. I'll just correct it and re-upload. Yeah ECWolf's implementation of DECORATE is from scratch and doesn't have the renaming code. IIRC ZDoom didn't have it at the time I started either. (Zandronum did and of course many people there used it as a feature instead of a compatibility crutch. Yay no need to think up a unique name! ) If it will ever get depends, but since the 1.x series of ECWolf doesn't promise backwards compatibility it's not exactly needed. Yeah ECWolf's implementation of DECORATE is from scratch and doesn't have the renaming code. IIRC ZDoom didn't have it at the time I started either. (Zandronum did and of course many people there used it as a feature instead of a compatibility crutch. Yay no need to think up a unique name! :P) If it will ever get depends, but since the 1.x series of ECWolf doesn't promise backwards compatibility it's not exactly needed. Further to the above, I think that I was trying to establish was actually prompted by messages that I'd seen in GZDoom with some mods. e.g. But that is GZDoom and this is ECWolf, but it was the post here that retriggered a question that I'd had bubbling away in the back of my head for some time but had basically forgotten about. My question was indeed rooted in something that wasn't happening but you've now explained what is happening. Thanks again. There's no renaming going on here, it's just replaces as you know it from ZDoom. The only thing that's changing is ECWolf 1.4 is getting rid of editor numbers so all internal tables reference actors by names. (Editor numbers were just a Doomism I copied for no real reason.) So before there was a mapping that said spawn actor 60 where tile <X> was used. ECWolf 1.3 would on map load lookup what 60 was and spawn it. Since the mod overwrite what was at table entry 60 it would spawn the right thing even though you're not supposed to replace things like that. With 1.4 it's now spawn MachineGun where tile <X> was used. So at map load it would spawn the original MachineGun. Even though the editor number table was updated to point to NewMachineGun it's just no longer using that table to load a map. Thus for the 1.3 -> 1.4 transition I've added compatibility which turns editor number replacement into a proper replaces clause. If the actor uses both an editor number and replaces then it does nothing and the mod breaks. But your question was hypothetical, so the answer is ECWolf doesn't rename anything. It would just throw an error when it sees the second NewMachineGun definition and tell the user to resolve the conflict. Like with ZDoom stacking mods is not really a supported thing. If that doesn't clear it up I really don't follow your question. What I meant was, if the mod contains an actor that ECWolf needs to auto-rename to something, but the name that ECWolf wants to rename that actor to already exists, what does ECWolf do? e.g. in this case "MachineGun" is being renamed to "NewMachineGun" but it's easy to imagine a mod that contains a regular replacement for the machine gun and an additional new super-fantastic weapon called "NewMachineGun". So what happens if ECWolf tries to rename "MachineGun" to "NewMachineGun" but finds that the mod already contains another actor called "NewMachineGun"? i.e.the name slot is already taken by another weapon in the mod. What would ECWolf do then? I assume that it just picks an alternative new name but the question just intrigued me. Enjay wrote: Purely out if interest, if the mod also already contained a weapon called "NewMachineGun", what would ECWolf do then? Not sure I follow the question, but if two actors have the same names ECWolf will throw an error. Purely out if interest, if the mod also already contained a weapon called "NewMachineGun", what would ECWolf do then? Cleveland Rock wrote: Edit: It seems the bug only happens when you pick up a machine gun that was not dropped by an enemy. The easiest way to replicate the bug is with the hidden machine gun in the very first level. decorate.txt:94:33:Warning: Overwriting editor number 60 previously assigned to 'MachineGun', use replaces instead. Added emulation for this error in ECWolf 1.4 and added more warnings. decorate.txt:94:33:Warning: 'NewMachineGun' overwrites deprecated editor number 60 previously assigned to 'MachineGun'. This mod will soon break if not changed to 'replaces'! decorate.txt:94:33:Warning: Deprecated use of editor number for class 'NewMachineGun'. [code]decorate.txt:94:33:Warning: 'NewMachineGun' overwrites deprecated editor number 60 previously assigned to 'MachineGun'. This mod will soon break if not changed to 'replaces'! Here you go. I added the links to the main post too. Do you still have the original Mac and/or Jaguar weapon sprites available for download? The new ECWolf update fixed the texture problem, but the machine gun bug still remains. Edit: It seems the bug only happens when you pick up a machine gun that was not dropped by an enemy. 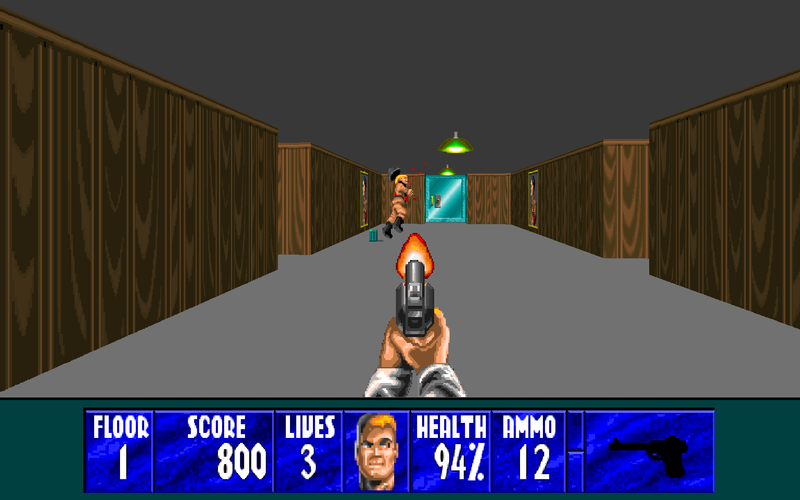 The easiest way to replicate the bug is with the hidden machine gun in the very first level. Also, running this WAD along with the rotation project gives humorous results. Edit: It seems the bug only happens when you pick up a machine gun that was [b]not[/b] dropped by an enemy. 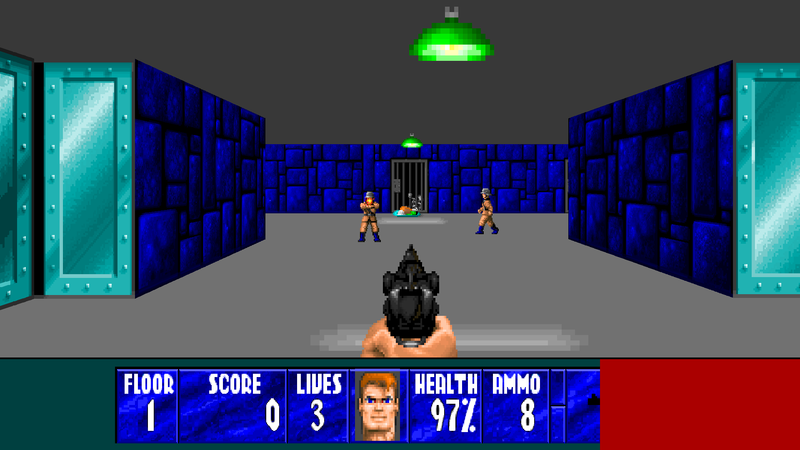 The easiest way to replicate the bug is with the hidden machine gun in the very first level. Also, running this WAD along with the [url=http://forum.drdteam.org/viewtopic.php?f=192&t=6432]rotation project[/url] gives humorous results.